Joe Mullins & the Radio Ramblers have released “Share the Link, Share the Love,” featuring a video performance of the original version of “Will The Circle Be Unbroken” with The Isaacs, and benefiting World Vision. Mullins had the idea of capturing the studio recording on video in hopes of creating a unique way for fans to “Share the Love” of the music created, while simultaneously supporting the very worthy cause of helping children in impoverished countries around the globe. World Vision is a Christian humanitarian organisation dedicated to working with children, families, and their communities worldwide to reach their full potential by tackling the causes of poverty and injustice. Motivated by their faith in Jesus Christ, World Vision serves along side the poor and oppressed as a demonstration of God’s unconditional love for all people. The Isaacs have supported World Vision for several years and I am thankful for an opportunity to be part of their effort in assisting children worldwide. I was working at a Cincinnati, Ohio gospel radio station in 1990, doing a bluegrass gospel hour daily. The program director introduced me to the Spencers, an Ohio family group with Kentucky roots. They had recorded an a cappella album in the 80’s with “Will the Circle Be Unbroken” and I loved it. This was the old, original lyrics and melody, not the popular Carter Family version. AP Carter’s song from 1935 was actually titled “Can the Circle Be Unbroken” and featured totally different verses and a slightly different chorus. I have a collection of hymnals and found the original lyrics from 1907. It really needed a quartet with two male voices and two female voices. The Isaacs have been lifetime friends, beginning their music ministry in Ohio in the same county where I grew up. We have always loved singing and performing together and this old-time tune was perfect. I love them dearly and I certainly hope we can sing together as often as possible – Joe Mullins. 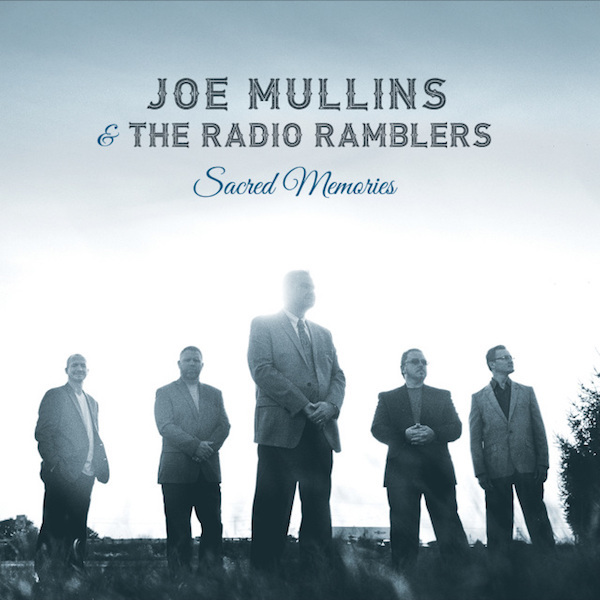 The recorded version of “Will The Circle Be Unbroken” featuring The Isaacs can be found on the new album by Joe Mullins & the Radio Ramblers, Sacred Memories. Due for release April 15th, Sacred Memories features 12 tracks of new and original music plus several traditional tunes. In addition to the The Isaacs, special guests include Ricky Skaggs, Sharon White Skaggs, and Rhonda Vincent. Joe Mullins & the Radio Ramblers and their new album, Sacred Memories, please visit their website.